Time and again, Seraphic Secret has noted that Christianity in America is uniquely free of the eliminationist Jew-hatred that animates Christianity in Europe. 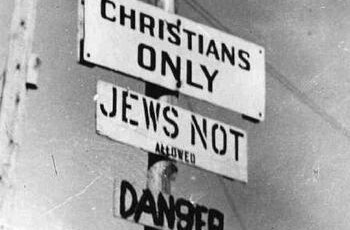 But now, classical Jew-hatred is beginning to appear on the fringes of some Christian communities here in America. Naturally, these Jew-haters claim to be merely anti-Zionist. We’ve heard that lie before. It’s the public narrative used by the Arab Muslim world to camouflage their genocidal intentions. Evangelical Jew-hatred, no matter how marginal at the moment, represents an existential danger to Jews and to decent and faithful Christians everywhere. Because if these creatures can demonize and persecute Jews in America, then there is no safe harbor in the Western world. “For any self-respecting person, the endorsement of terror… at a Christian conference is obscene.” — Kay Wilson, tour guide attacked by Palestinian terrorists. 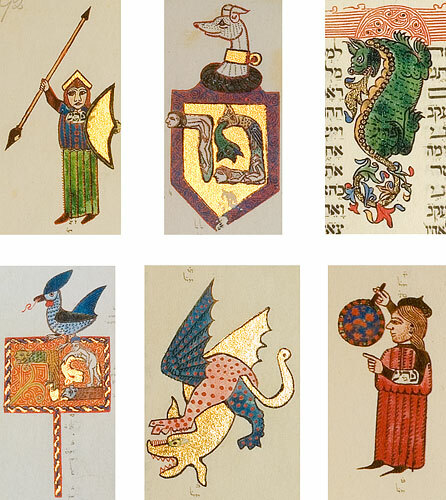 Images from the Kennicott Torah, the most beautiful of all Jewish manuscripts, written and illuminated in medieval Spain in 1476, just 16 years before the expulsion of the Jews by King Ferdinand and Queen Isabella. The calligraphy is by the scribe Moses Ibn Zabara, illuminations and decorative penmanship by Joseph Ibn Hayyim. This is the story of how Jews lived amidst Muslims and Christians, and how they tried to stay Jewish… by opting for life.